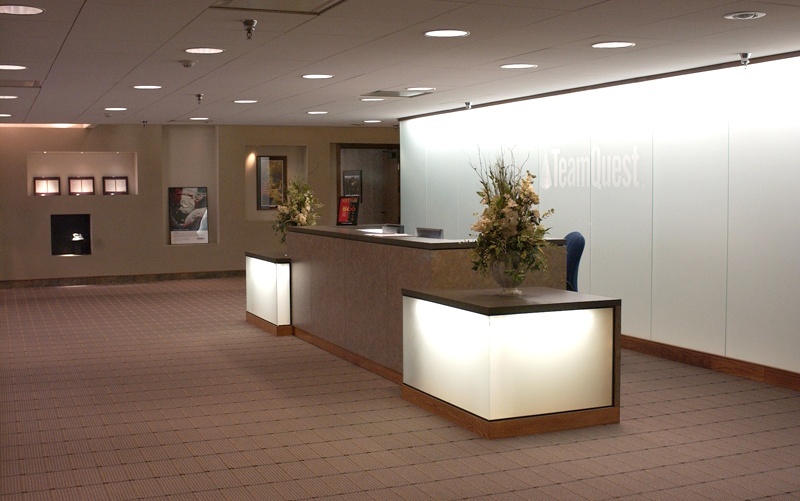 Home / Portfolio / Interior Design / Teamquest Corp.
One of the world’s fastest growing computer software companies was outgrowing its space and in need of a refined corporate image. 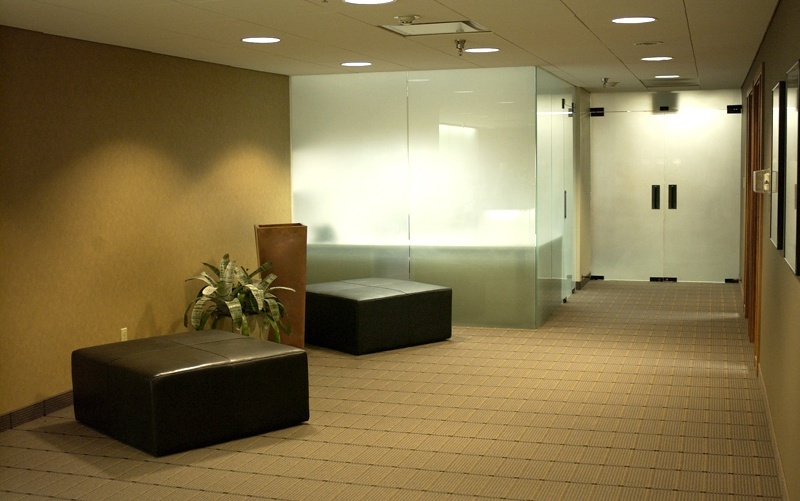 Rather than move to a new location, the company opted to expand its existing space and focus on the building’s interior. Elegant materials and warm colors were selected to exude a sophisticated and welcoming environment, with carpeting selected for its resemblance to a computer’s motherboard. 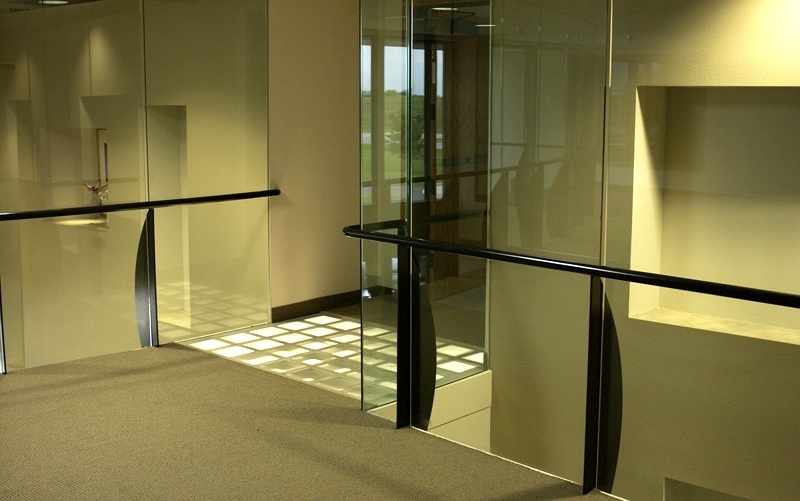 The two-story lobby space provides a dramatic entry. 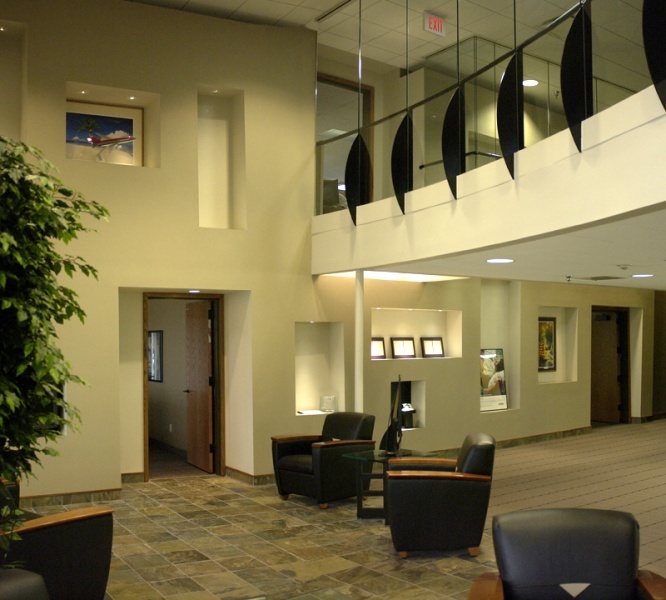 A niche wall designed to display artifacts and artwork representative of the company’s clientele around the world becomes a focal point for visitors and employees in the building.